You will have to let us know how he does. 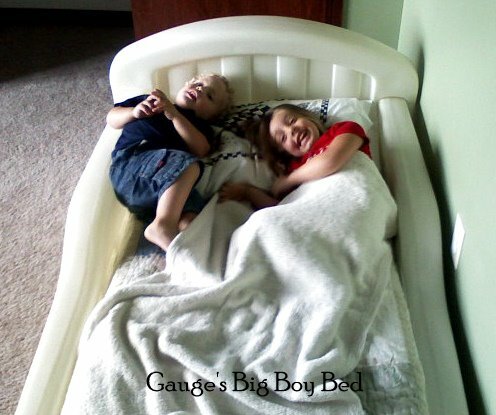 We're getting ready to get the twins into "big boy and big girl" beds.... I'M SCARED! ;o) cute picture!!! That is a safe looking big boy bed!